Dr. Kevin Landau doesn't prescribe medications for his animal patients, nor does he vaccinate them. He doesn't X-ray them or inject them with steroids or painkillers, either. Yet this holistic veterinarian has achieved remarkable results in treating cancer, ulcers, enigmatic lameness, lyme disease, liver failure, seizures, and a variety of ailments and diseases that often resist conventional medicine. Armed with wispy thin acupuncture needles, a pharmacy of time-tested Chinese herbs, expertise in chiropractic, and knowledge of diagnostic techniques based on Traditional Chinese Medicine, Dr. Landau makes a big difference in the lives of his equine and small animal patients from a base in Pelham, MA, in the heart of the Pioneer Valley. "When you're working with animals," Dr. Landau explained, during an informal seminar at the Equine Essentials Tack Shop in Oxford, MA on January 17th, "it's important to walk in without a huge agenda. It's a give and take process between you and the animal." A member of the Board of Directors of the American Holistic Veterinary Medical Association, Dr. Landau's approach is designed to complement, rather than compete with his patient's primary vet. "I'm trying to be part of the team," he said. Rather than simply treat symptoms, Dr. Landau probes for the root cause of an animal's distress, using his holistic training to identify and interpret "patterns of point sensitivities"--those places in the body where the flow of beneficial "chi" may be blocked, creating dis-ease. Interestingly, an ouchy point in one area may reflect problems in another. Horses that have stifle pain, for example, often have an imbalance in the stomach meridian. And there is a point behind the withers--the "wither pocket"--that is very painful in horses who have ulcers. Dr. Landau uses herbs to "quiet the stomach fire" and by inserting acupuncture needles in the appropriate points on affected meridians, he can often clear the syndrome that is creating the pain. In addition to applying dry needles, he sometimes injects points with Vitamin B12 or even with an animal's own blood--a process that can stimulate an immune response. Among the difficult medical cases for which Dr. Landau has created good outcomes are seizure disorders in dogs and horses. "I can't say that I achieve 100% success by using acupuncture and herbs for seizures, but I can say that I've been able to help my patients a lot," he said. He's used the same prescription--coupled with nutritional therapy--with horses who have lymphomas and small animals plagued by various forms of cancer. The tools of his trade--acupuncture, chiropractic, laser, and herbs--are designed to improve the circulation of blood and energy in an animal's body, while decreasing pain and inflammation. 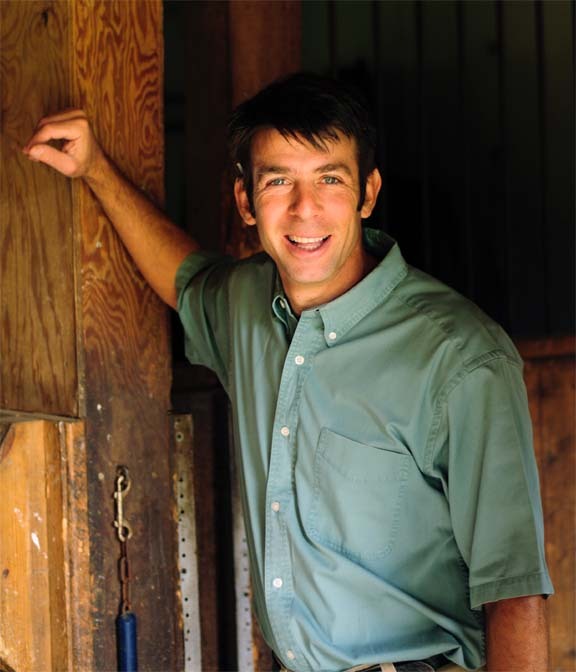 Like conventional veterinarians, Dr. Landau is out to maximize the health, comfort, and performance of his patients. But he goes about it a lot differently, always enhancing--and never impeding--an animal's natural ability to heal himself.